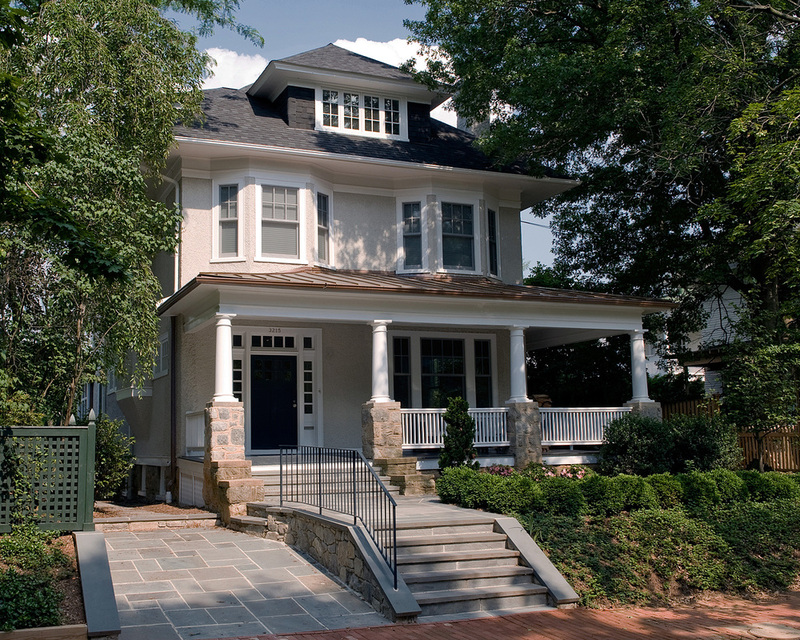 This early 1910's stucco Cleveland Park house, located in the shadow of National Cathedral, has been transformed though a three-story addition and interior renovation with a modern touch. A sleek kitchen by Bulthaup, sheathed in oak, stainless steel, granite and glass sets the tone for the re-shaped Dining Room and new Family Room. This space spills out onto a screened porch and open deck. Upstairs, new and old come together in the Master Bedroom suite, which incorporates a wood, glass and stone bathroom.